new Automate budget pacing with AutoPilot! We provide agencies with powerful tools to take control of PPC spend. Never worry about pacing or over/underspend again. 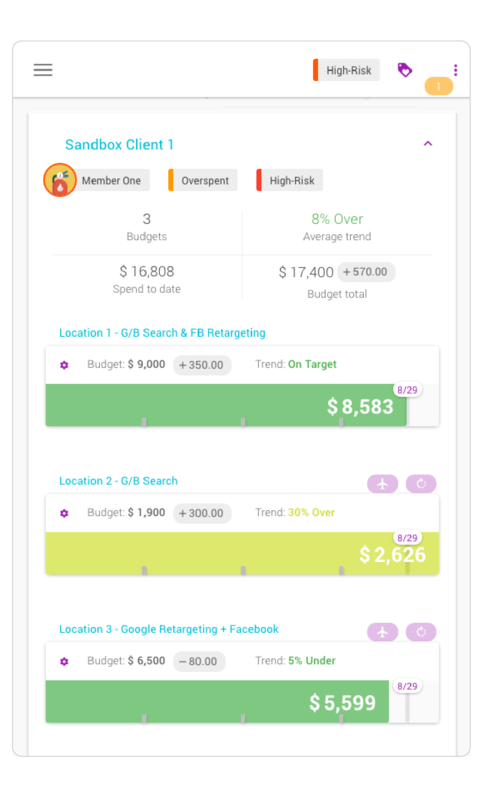 A better way to control, organize, and collaborate on ad spend at scale. 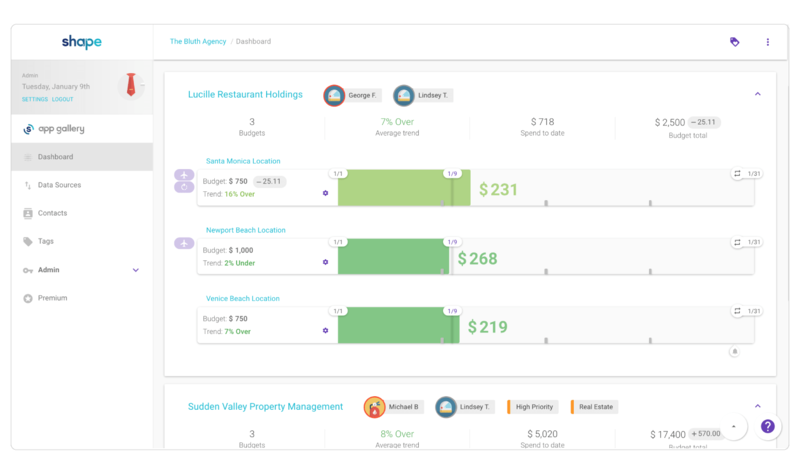 Built on top of the Shape platform, our apps focus on what we know best: Budgeting and APIs. Combine your performance goals with our algorithm to keep your ad spend on pace. Budget analysis designed to help you identify and capitalize on lost opportunities. Build powerful tools with a centralized, easy-to-use marketing API. We no longer worry about under or over spending which was a huge pain point with large accounts who constantly start and stop their campaigns. We can now always stay right on track. We easily have 25% more time to focus on optimizing accounts because of Shape.